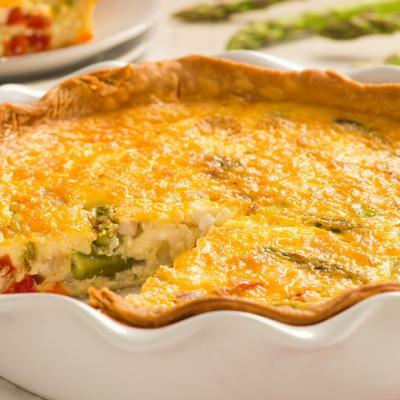 Use your favourite biscuit baking mix and turn this “impossible quiche“ into impossibly quick! 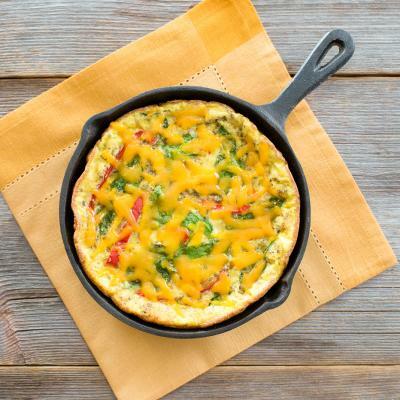 A great recipe when you’re in need of a fast meal and don't want to spend hours in the kitchen. 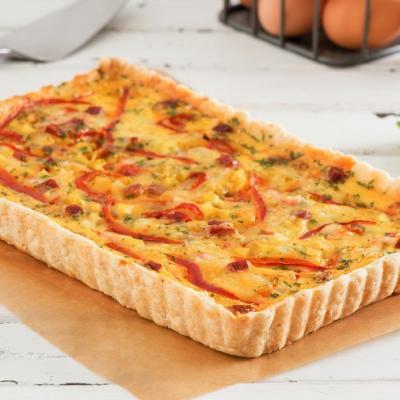 Generously spray 9 or 10-inch (23 or 25 cm) quiche pan with cooking spray. 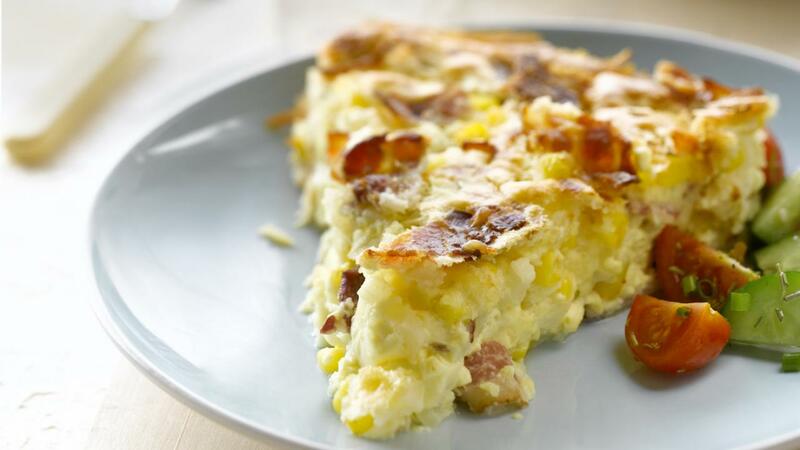 Spread bacon, cheese, corn and onion in bottom of prepared pan. Place eggs, biscuit baking mix, pepper and milk in blender; blend at high speed for 1 minute. Pour over bacon mixture. Bake in preheated 350°F (180°C) oven until knife inserted near centre comes out clean, 50 to 55 minutes. Remove from oven and let stand for 5 minutes before cutting into wedges to serve.